LLR99896 : Lorell Lorell Medium Oak Laminate Rectangular Activity Tabletop - Rectangle Top - 30" Table Top Width X 72"
Lorell Medium Oak Laminate Rectangular Activity Tabletop - Rectangle Top - 30" Table Top Width X 72"
Versatile Activity Tabletop Is Great For Creating Collaborative Learning Environments In Classrooms, Training Rooms, Conference Rooms And More. Sturdy Top Is 1-1/8" Thick. Table Edges Are Cushioned With Protective, Black Edgebanding. The Medium Oak, High-Pressure Laminate Finish Offers A Smooth, Durable Worksurface. Activity Table Legs, The Four-Leg Base, Adjust In Height From 22" To 30" Or 17" To 25" In 1" Increments And Are Sold Separately..
Versatile Activity Tabletop Is Great For Creating Collaborative Learning Environments In Classrooms, Training Rooms, Conference Rooms And More. Sturdy Top Is 1-1/8" Thick. Table Edges Are Cushioned With Protective, Black Edgebanding. 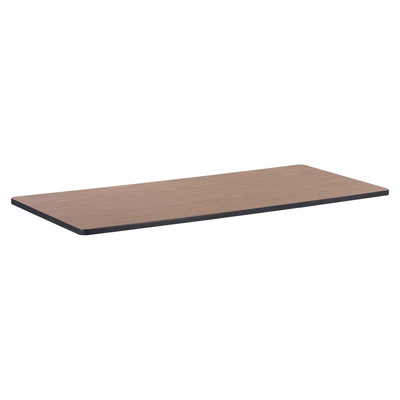 The Medium Oak, High-Pressure Laminate Finish Offers A Smooth, Durable Worksurface. Activity Table Legs, The Four-Leg Base, Adjust In Height From 22" To 30" Or 17" To 25" In 1" Increments And Are Sold Separately.